Tax time 2017 has started and you must be busy with your tax filing and moreover eagerly waiting for the refund too. To help you with your taxes, we are giving away $50 via contest below. Giveaway begins on 3/12/17 at 1:00 am CST and ends on 4/13/17 at 11:59 pm CST. Must be 18 years or older, open Worldwide (void where prohibited.) Once winners are confirmed, they will be added to the Winner’s List here. Disclaimer: Work Money Fun and other participating bloggers were not compensated for this post. No purchase is necessary to enter. One entrant per household, per IP address. All entries will be verified. Void where prohibited by law. Winner will be contacted by email; Please add [email protected] to your whitelist. 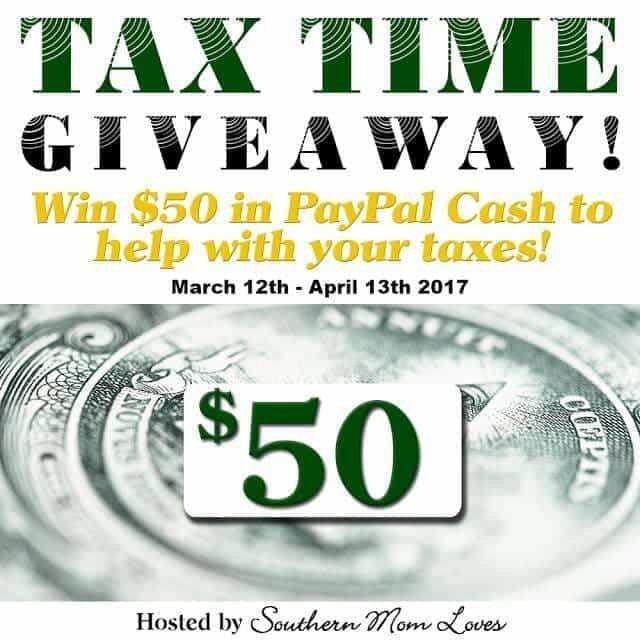 Southern Mom Loves will be responsible for prize delivery to the tax time contest winner. This giveaway is in no way administered, sponsored, endorsed by, or associated with Facebook and/or Twitter, Google, Pinterest, or any other social media platform. I would use the $50 on my cable bill – I want to be all paid up in time for Game of Thrones! I would use it to either go out to dinner and to go out for a family movie night. I would use money for buy a gift for my brother birthday. With 2 teens in high school, this will go into their college fund! It will either pay for fertility treatments, the expense of adopting an embryo, or baby stuff, if I manage to get pregnant without help. I will use the money to pay some bills. I would use the money for summer shoes for my girls. Thank you! I will be using the money on some hard to find baking items. I will buy food and cleaning products to stock up. I’d use the money to buy a pair of headphones I’ve really been wanting, thanks for the chance!